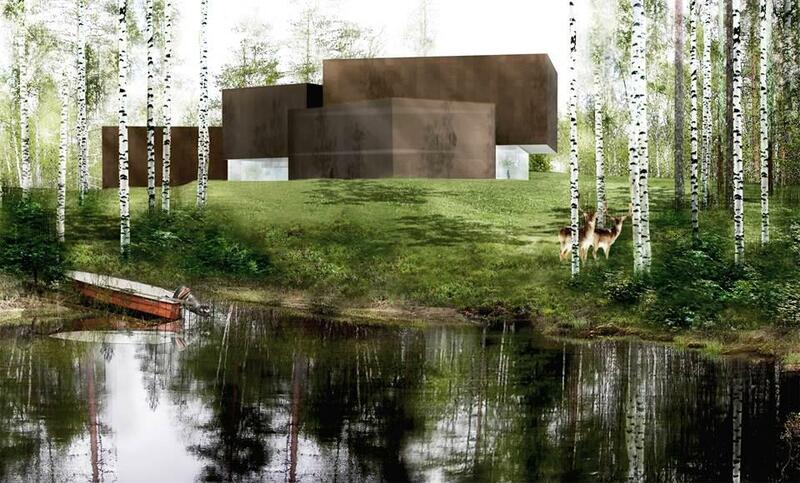 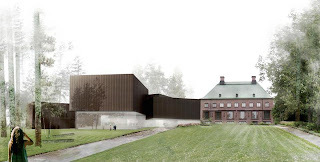 The competition called for an expansion of an existing museum housed in an old mansion of the Serlachius estate in Finland. 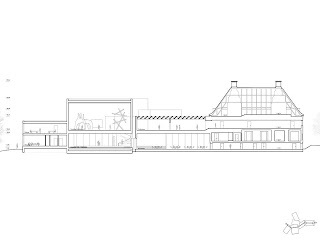 For us, the architectural problem of an extension often results in an A/B relationship of old to new. 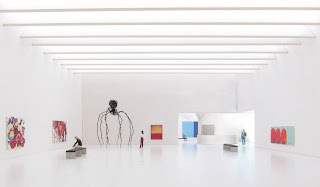 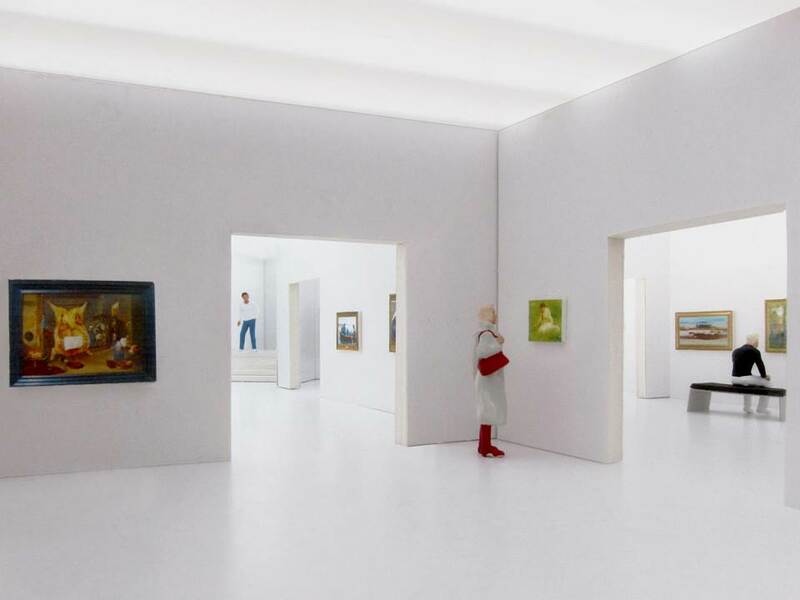 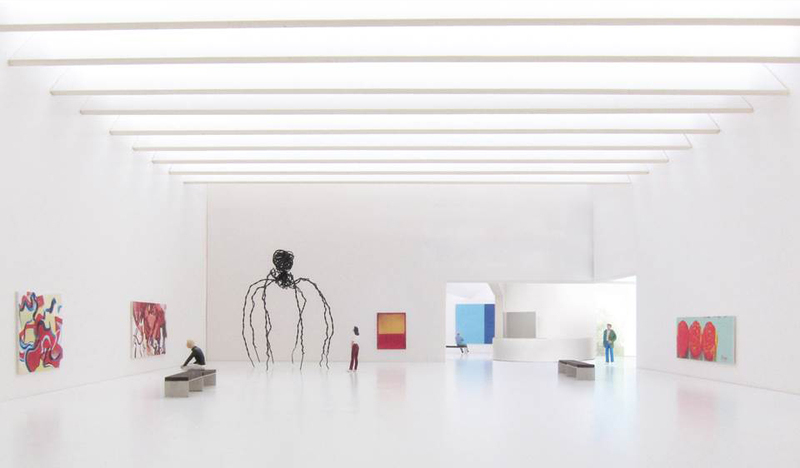 The program called for about five times the existing size to be added, including a large 9m tall gallery. 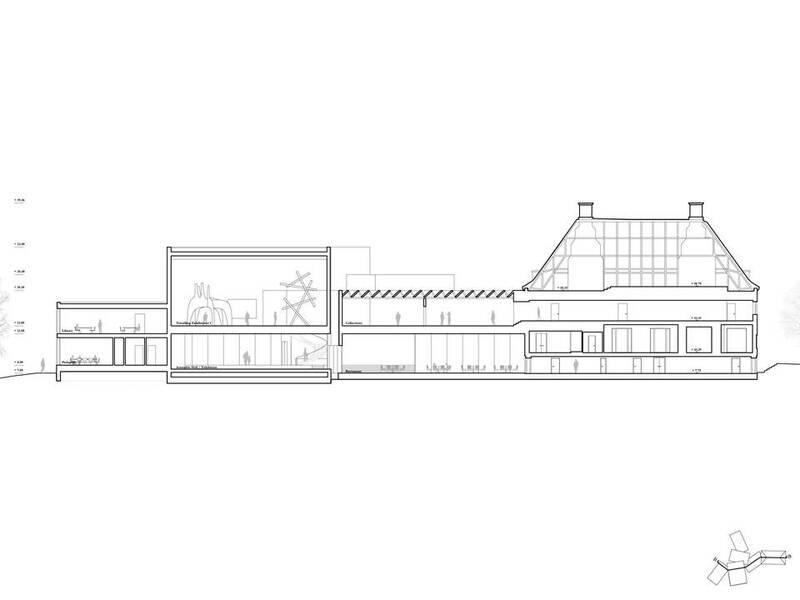 The area for this gallery alone would already be bigger than the footprint of the existing mansion. So unless everything was buried, the addition would dwarf the existing building and dominate the site. 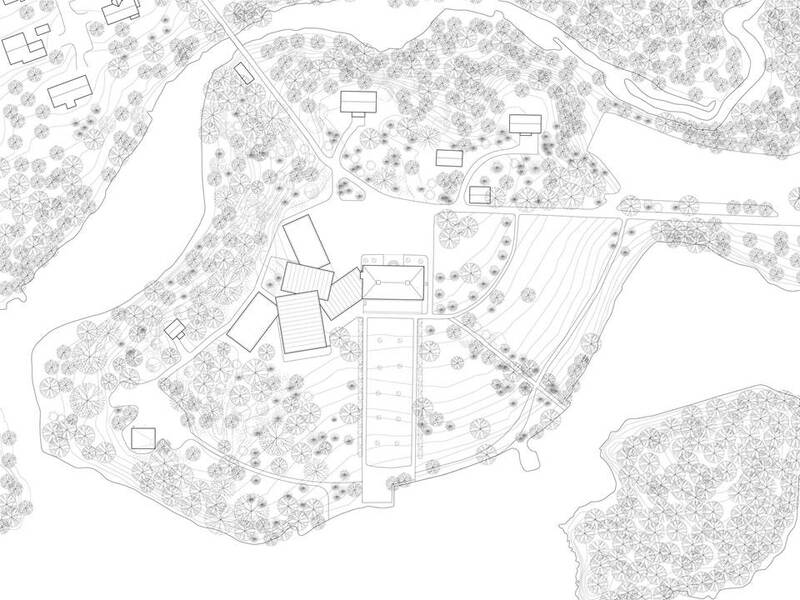 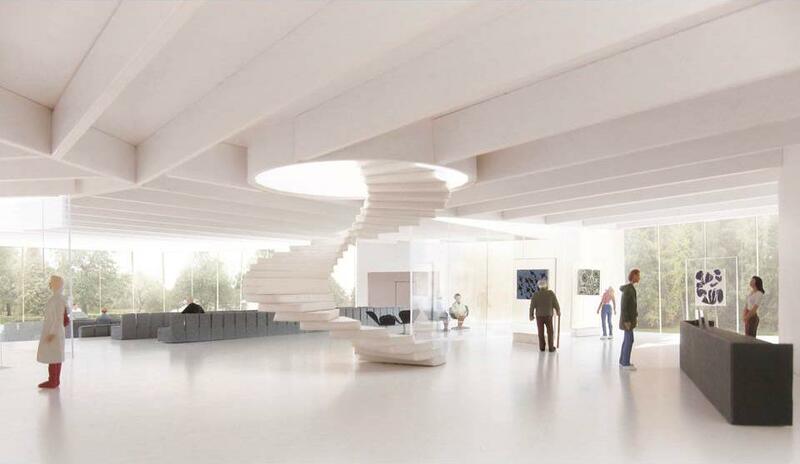 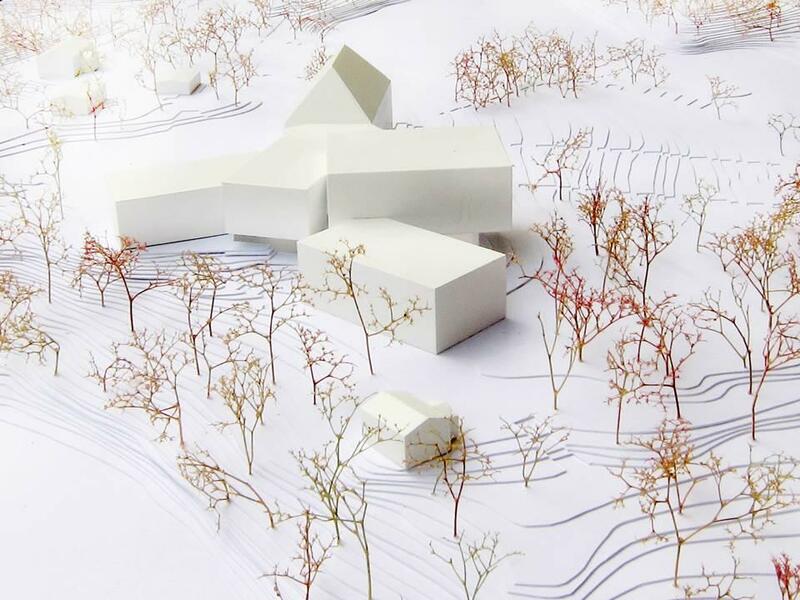 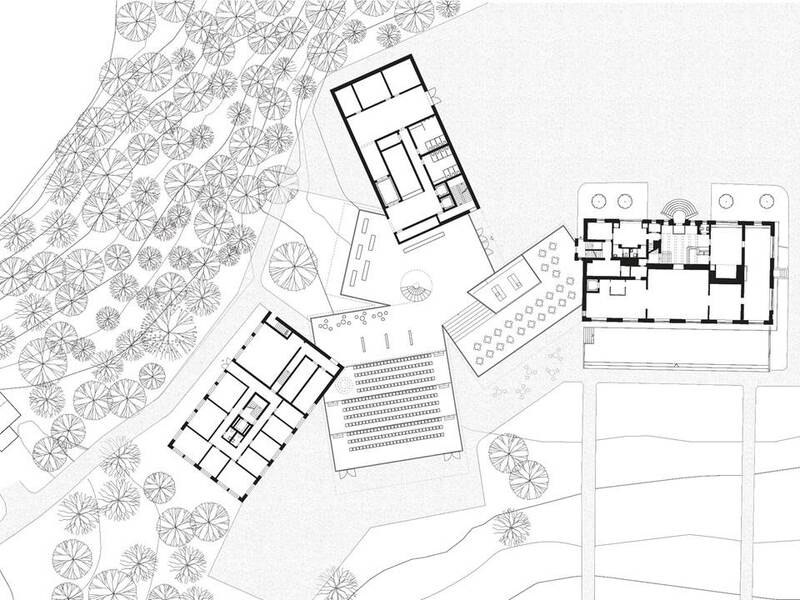 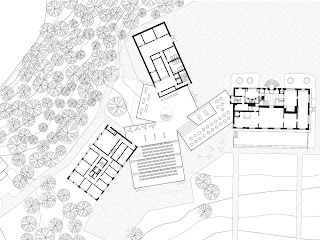 We proposed a cluster of volumes that would break down the perceived size of the addition and embed the existing house and museum sequence into the collection of spaces. 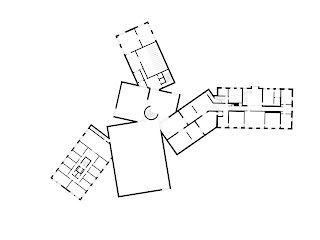 The apparent accidental formation of the cluster is in fact a highly calibrated configuration. 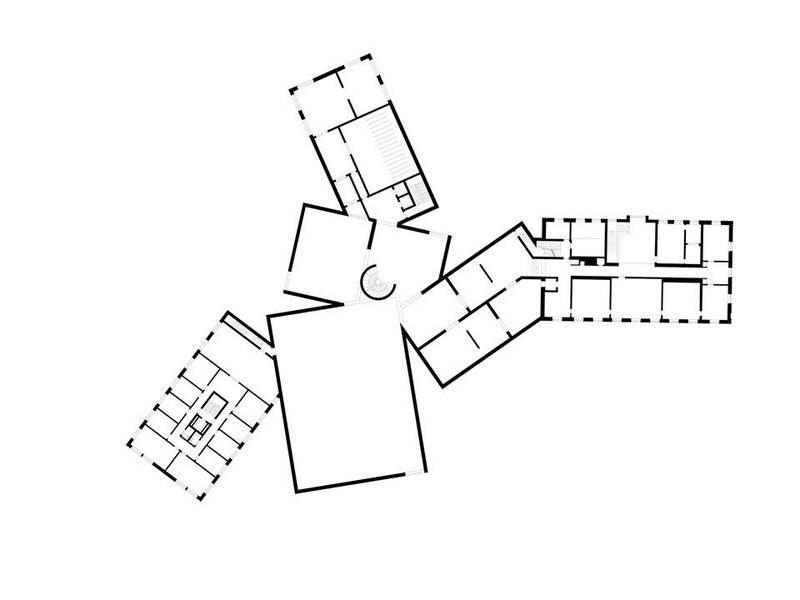 The cluster negotiates and even accentuates the differences on the site, constructing a relationship between the building its context. 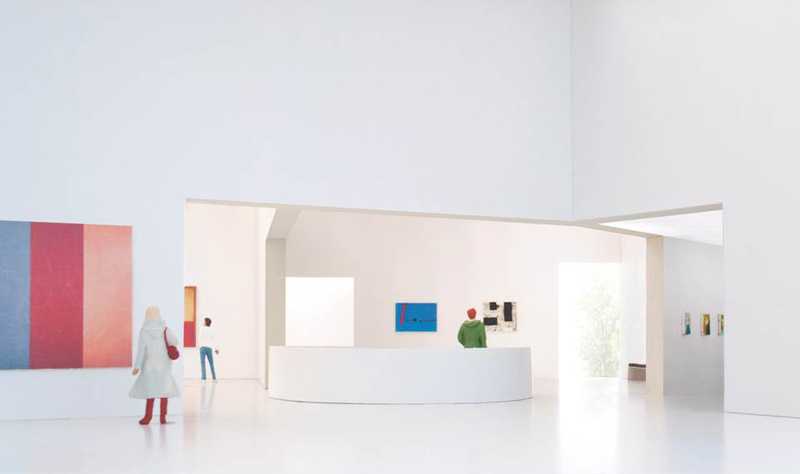 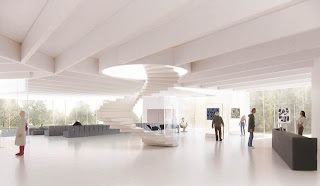 On the ground floor, the dispersion of the volumes allows for a direct relationship of the public program to the landscape while on the upper level, where the focus is the art, the consolidation and the overlap of the volumes form an introverted experience of the galleries.